Two Opposing Orders of Truth? I wasn't going to write anything more before Christmas. However I found this is my devotions this morning and wanted to share it with you. It is claimed that Science and the Bible contradict each other. This is true, since Science is incomplete in its knowledge and the Bible incorrect in its translation. Yet this is not the same as saying, There is conflict between Nature and Scripture. between them no conflict is possible for each of them is out of God. I have been thinking a lot about Jesus' death lately and have had some interesting (maybe naughty) thoughts about it. Let me share them with you and, as always, invite your feedback. When Jesus carried the sins of the whole world to the cross, he took the sins of every individual who has ever lived, is currently living or ever will live. He carried the sins of the worst sinners ever, plus everyone else's. So, if the future of people who die in their sins is everlasting torment in a place called hell, then surely Jesus should still be there enduring that punishment. Now let's remember that Jesus went to his death without repenting of any of the sins that he was carrying, that were now his. Just like the majority of mankind will. YET he only remained in Hades (the unseeen) for three days and was neither singed nor tortured. AND he was given eternal life. AND he was perfectly acceptable to the Father. AND he was placed at the Father's right hand, and in perfect fellowship with him. Doesn't that sound a bit odd? Yet what I hear preached all the time is that the wages of sin is everlasting life. Most preach that those who die in their sins will be tormented alive forever in hell. That sounds more like everlasting life than death to me. Have a great one - and rejoice in God's incredible plan to redeem us all through the one who started his earthly life as the baby Jesus. In the Greek, the word for sin is "hamartia", which means to miss the mark or target, or fail to reach the goal. 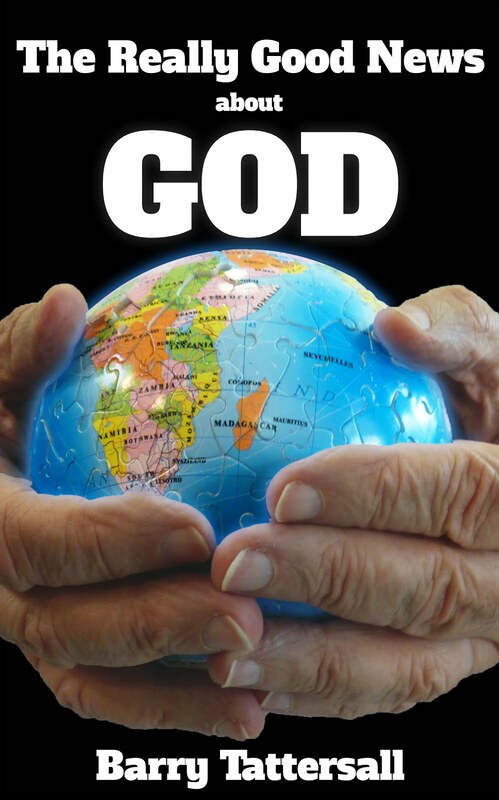 God created mankind in his image and our purpose was to reflect him and his glory on the earth. But we failed to achieve this, so we are sinners, miss-ers of the mark. We probably all agree on this. But do we realise that most of the world (including most of mainstream christianity) believe God is also a sinner, or at least will be? Paul tells us that God's plan is to reconcile all things to himself through Jesus (Col 1 : 20). But most people think he will not achieve this and so will miss the mark, will sin. Jesus said he would draw all mankind to himself (John 12 : 32). Most people feel this will not happen and so Jesus will miss the mark, will sin. Paul said God is going to have mercy on us all (Romans 11 : 32). Most people believe God will punish the majority of mankind forever and therefore will not reach his goal, will miss the target, will sin. and therefore believe God will achieve all his purposes. God is no sinner - nor ever will be. All of us have heard sermons preached about how to get saved. And most Christians specialise in telling others how to get saved. Most of us have been asked that question at one time or another. What are our answers to these salvation questions? So, how do we get saved? We don't get saved, we got saved. And, when were we saved? A long time ago, before the ages began. Have you heard anyone giving these answers? I can assure you, they get an interesting response (especially from other Christians). I enjoy singing Christmas carols. It also brings a smile to my face. Most people sing the words of the better known carols with great gusto - and make wonderful declarations in doing so. Have you looked closely at the words of "Hark the Herald Angels Sing" lately? Verse 1, line 4 says, "God and sinners reconciled." Verse 3, line 3 says, "Light and life to all he brings." Verse 3, line 6 says, "Born that man no more may die." Even the Christian leaders who tell me I cannot preach such things in their churches sing these words without a qualm. Probably brings a smile to your face too. Blessings to you all this wonderful Christmas season.